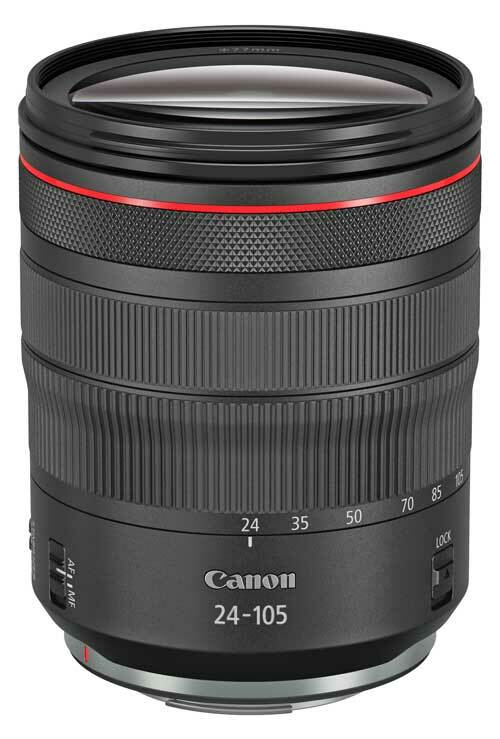 Carrying the same price tag as the popular EF 24-105mm f/4L IS II USM lens, the new RF 24-105mm f/4 L IS USM is able to capitalise on the wider ‘throat’ and shorter flange back distance of the EOS R camera to deliver better edge-to-edge sharpness. While expensive for a kit lens, it boasts dust- and water-resistant sealing, L series-level vibration shock resistance and up to five stops of shake correction, thanks to the built-in stabilisation system. The nine-bladed iris diaphragm closes to a circular aperture to create attractive background blurring, while the EOS R’s 12-pin communication system enables data to be transferred automatically to the in-camera Digital Lens Optimizer to provide in-camera corrections for common aberrations. Specifications-wise, it’s an impressive general-purpose lens that is tailor-made for the EOS R and provides an excellent choice for travellers as well as being able to handle most photographic genres. This lens is made in Japan and meets high quality standards, with a metal outer barrel protected by tough plastic cladding. The inner barrel extends by roughly 45 mm while zooming from 24mm to 105mm, but it doesn’t rotate during zooming or focusing. The customisable Control Ring at the front of the outer barrel is a Canon innovation, with audible click stops to make setting the programmed function easy. The RF 24–105mm f/4 L IS USM has 18 elements in 14 groups and featuring large diameter rear elements to capitalise on the short flange back of the RF system. 1. Purpose designed to match the EOS R camera body and provide the stabilisation the camera lacks. 2. 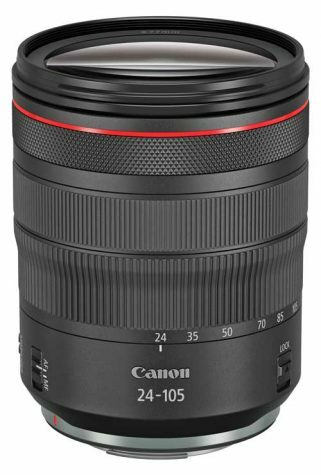 This lens provides superior performance to most kit lenses, with highest resolution between f4.5 and f8. Common aberrations like vignetting, distortion, chromatic aberration and diffraction are automatically corrected in JPEG files by the EOS R.
3. 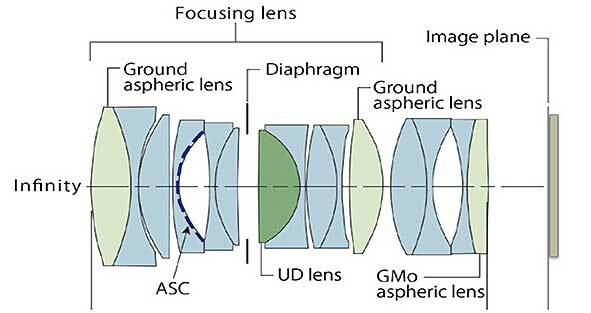 Highly resistant to ghosting and flare and capable of producing smooth and attractive bokeh. 4. Supports fast and quiet autofocusing, making it ideal for both stills and video shooting. 5. The lens comes with front and end caps plus a petal-shaped lens hood with a locking button and a soft carrying pouch. 6. This lens accepts 77mm diameter filters and can be used with graduates and polarisers without requiring adjustments when focusing and/or zooming.